Attic Dek brand of storage system designed for unfinished attic space. 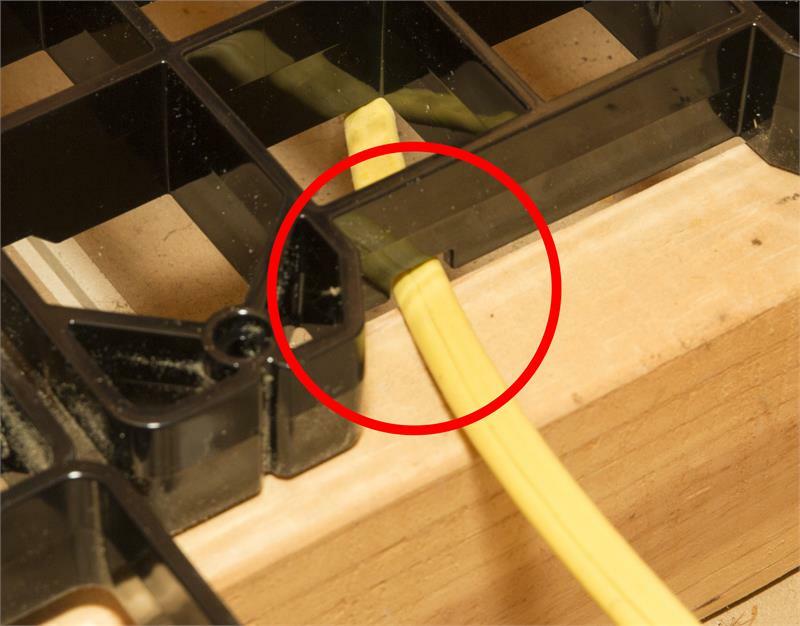 Panels install easily and fit standard 16 inch or 24" on center joist. No measuring or cutting required. Get your attic together! Attic Dek is the only storage system designed specifically for unfinished attic space over a garage or under a roof. 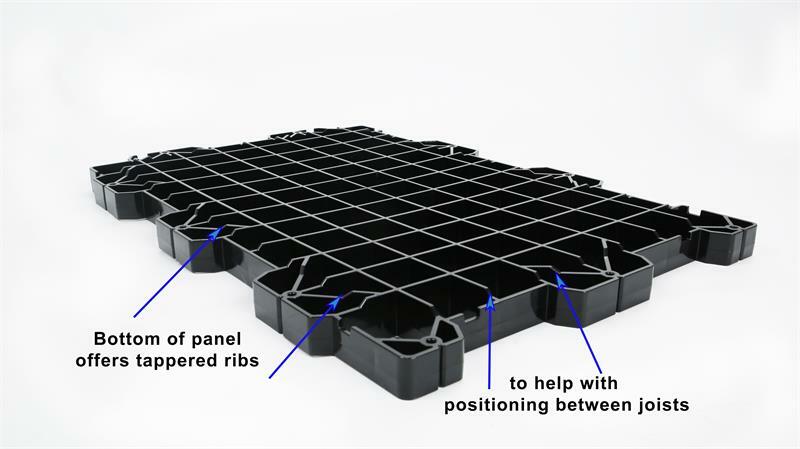 The prefabricated plastic panel squares are secured with screws to the attic floor joints to create flooring space for storage or a stepping stone pathway to get to hard to reach spaces. Attic Dek panels require no measuring or cutting. 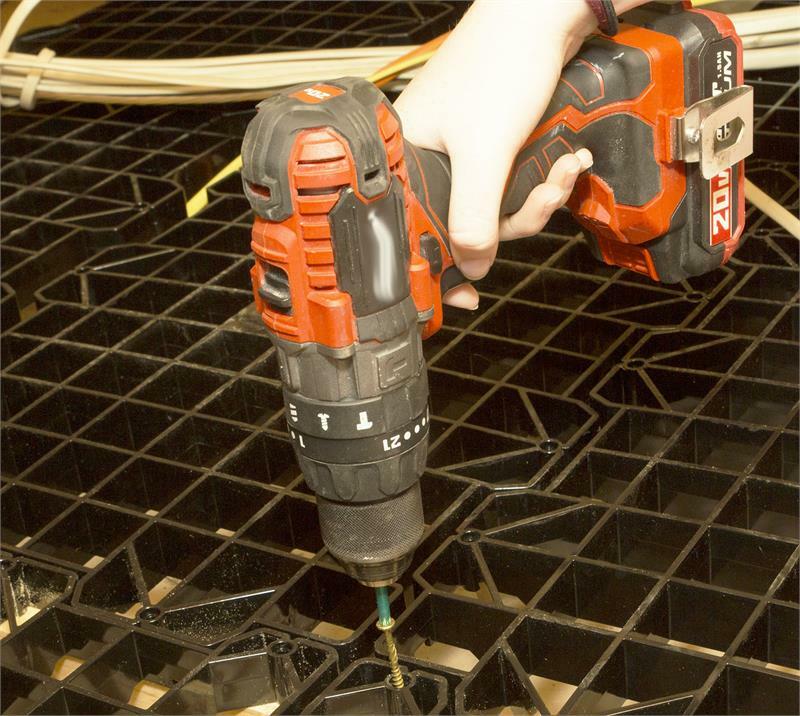 Each has five prefabricated holes for screws to be secured into the attic floor joists. Each Attic Dek Universal Fit Panel measures 17" x 25" and can be turned to suit 16" OC or 24" OC rafters. The screw holes are 16" apart on the long side to attach to joist on center. The screw holes on the short side are 24" apart to attached to joist at the center point. 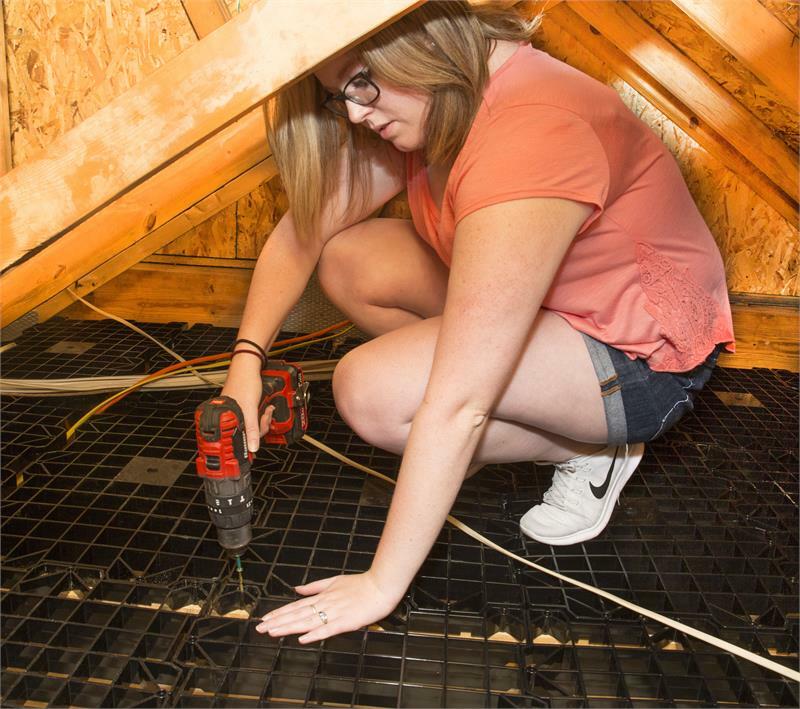 Installation of Attic Dek panels is a quick and easy, home owner friendly weekend project. 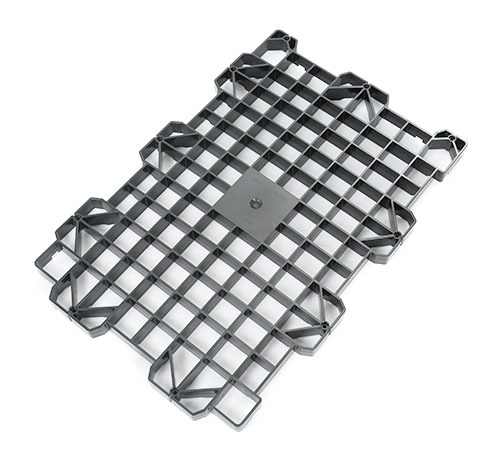 Strong and sturdy, one square of Attic Dek has been tested to support 250 pounds. 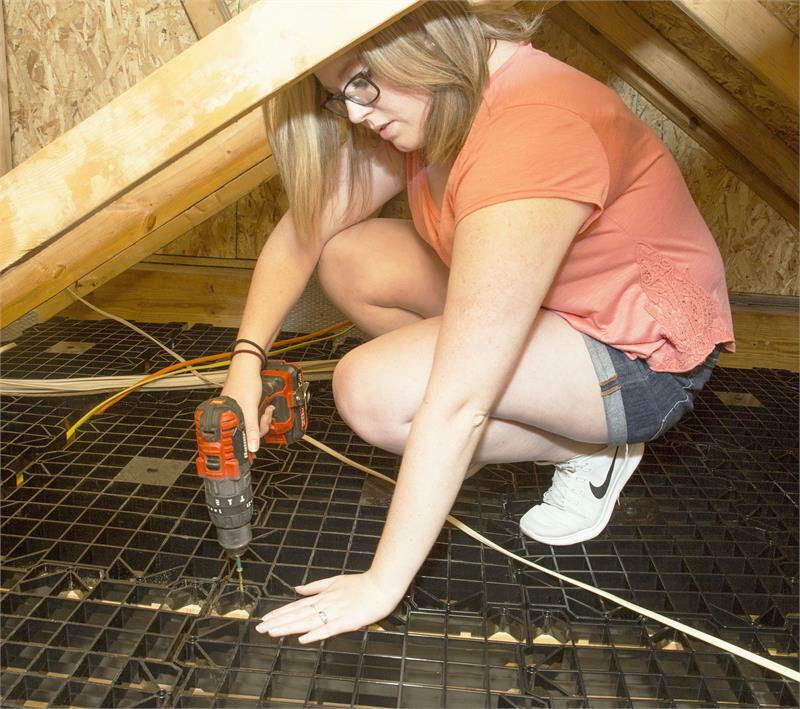 With the universal fit design of Attic Dek panels, a single panel is designed to fit either 16" or 24" inches on center floor joists. 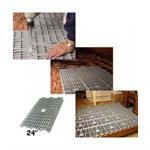 Attic Dek panels include 5 each #8 x 2" Phillips screws per panel. You will need to provide your own power screw driver. Attic Dek panels eliminate the need for hauling large, heavy sheets of plywood up into your attic. Unlike plywood, Attic Dek panels allow moisture to pass thru. Each Attic Dek panel is designed to hold up to 250 pounds. 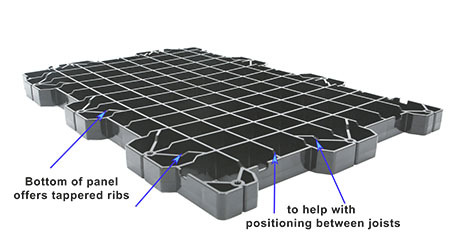 Weight must not exceed 250 pounds per panel or the load limit of the structure. Do not place Attic Dek panels directly onto wires or cables. Color of Attic Dek panel may vary slightly, as Attic Dek panels are made of recycled plastic.